Hello beautiful ladies, Hope you are all okay! As you probably already know, when i started my blog in October i was a complete MAC newbie, absolutely loved make up but only recently have i delved into higher end products. I only owned a couple of MAC products and as i said you would watch my collection grow throughout, now i have completed two eye shadow palettes! MAC eyeshadows are amazing, such a variety of colours, although i mainly stick to the neutrals as you will see, they are really pigmented & are some of the best quality eye shadows i have ever used. 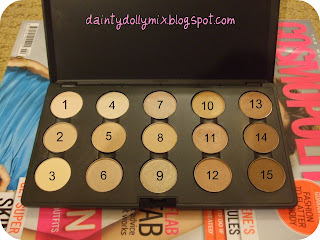 What are your favourite MAC eye shadows? & Do you recommed any that i dont own? Is it wrong to contemplate not buying my hubby a birthday pressie so I can have those? Gorgeous! I love your neutral palette! I have started a palette of e/s's! 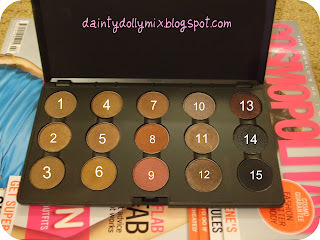 but im trying not to put too many neutrals in there as I have the 88 warm palette and its pretty good! Wow sweety that's an impressive start to your MAC collection! And they're so organised? My palettes are just one big powdered mess! hehe. Check my blog - you won my contest!!! I think them palette should be mine!!! Hand em over Sinead! haha. Love love love neutrals and your palettes look amazing. Can't believe what a MAC addict you've become haha, once you had your first taste it was non stop spending, you make me smile.. you're so cute! Awww love this post hun! I am sooo jelous of your collection! Lol! I need to start my own pallet-looks so much fun! I love how organized you are. I have to depot my MAC eyeshadows, they are such a mess. Nice collection you have going! I'm all about the neutrals too. I'd also recommend Shale and Era and Sumptuous Olive. Wow, I guess you can't have too many neutral colors! If you want a little more color and some sparkle, try Honey Lust. I love it. It isn't MAC's most pigmented shade, but I love it! FANTASTIC selection! I have shadow envy! !